You’ve chosen some very nice patterns. 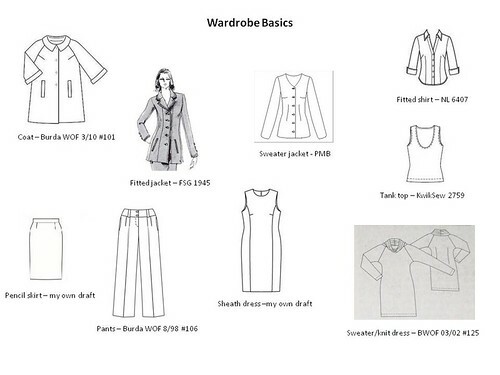 I’m doing my own corporate wardrobe but am not brave enough to publish a list. I might have to stick to it! Really great way of planning and I love the designs especially that coat. It’s makes it so easy when you know your style – my problem I love lots of styles but they don’t necessarily suit me. I found your blog through your posts on SG, your projects are fantastic and the fit is perfect- wonderful job! Thanks for sharing the details of your wardrobe planning. I’m returning to school and an office job and your plan has been a big help for me! I just found you today thanks to Carolyn. Your first full sentence in this post says it all. We are clearly twins separated at birth. No more housework today! I will be reading this blog.